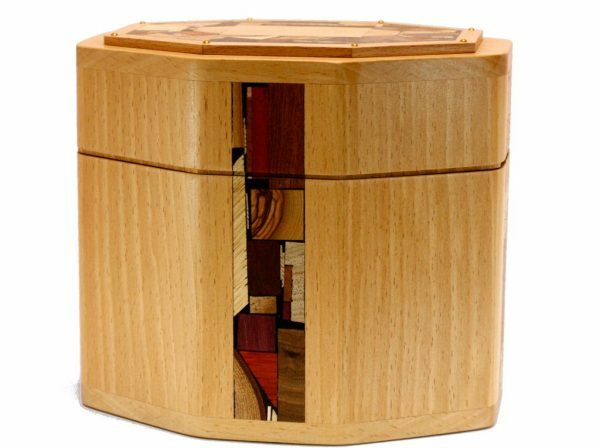 This beautiful Octagonal Etrog Box was designed for protecting your Etrog during Sukkot Holiday. 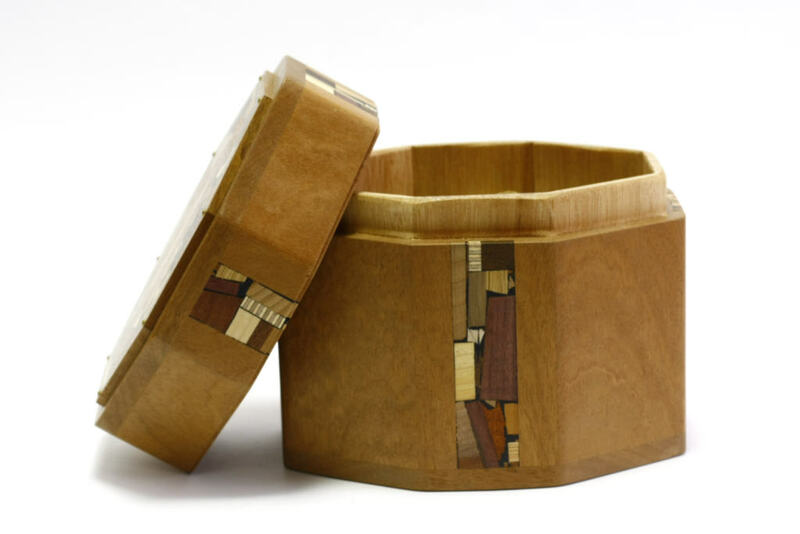 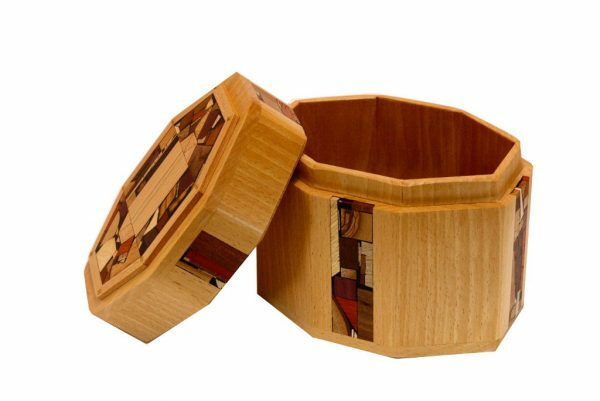 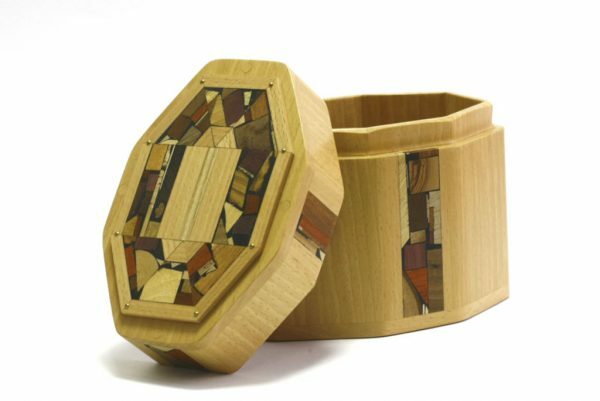 The Octagonal Etrog Box boasts sleek 8 sided construction, with Etz-Ron’s signature multi woods mosaic wood inlay on four panels, and an additional appliqué of mosaics, on the top. 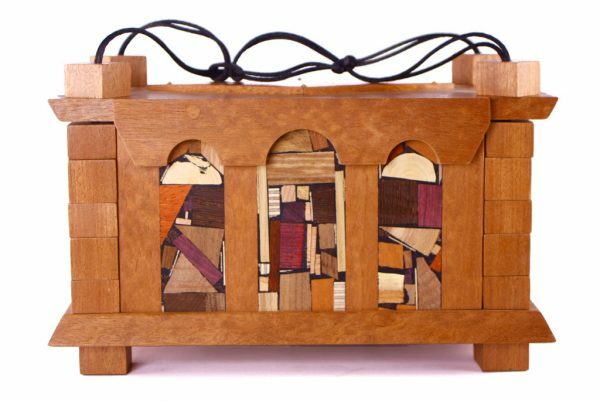 There is ample room to store and protect even the largest etrog. 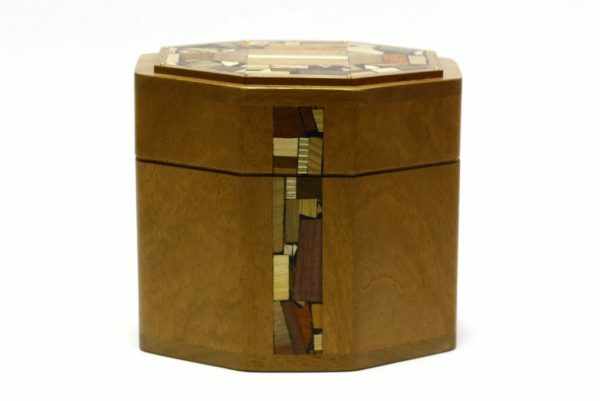 Etz-Ron’s mosaics are made up from over 30 types of different woods from the world over. The woods are left with their natural colors and grain patterns, no stains or dyes are used. So the colors you see on any given piece are actually the real colors of the woods. 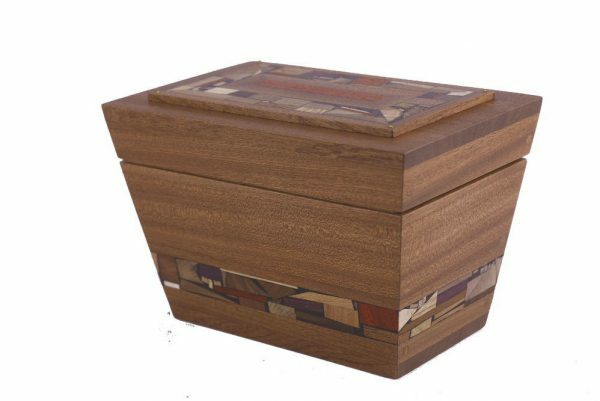 I put several coats of polyurethane on to protect the wood. 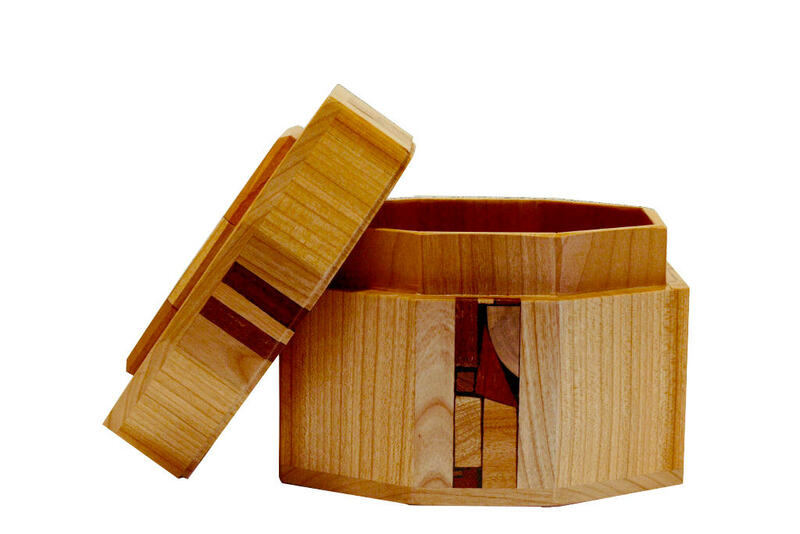 The top of the box lifts off to access your etrog.